Thank you! I am blown away by all the sweet comments and requests for me to keep posting new painted rock challenges each month. Your emails and comments are super sweet. I’d love to see how far this challenge is spreading so please feel free to comment on this post and let me know. If you don’t have a group near you and want to join our painted rock challenge group we’d love to have you! Painted Rock Challenge Group on Facebook. You may have seen very little updates from me in May because we were having our kitchen renovated and I had to pack all my paints away. Now that my kitchen is finally finished I can take part of the June challenge along with all of you. …because it’s too beautiful not to share, here is our new kitchen. If you want to see what it looked like the night before demo began or see the behind the scenes pictures during the renovation be sure to follow me on Instagram @BackToCalley. …but back to rocks! 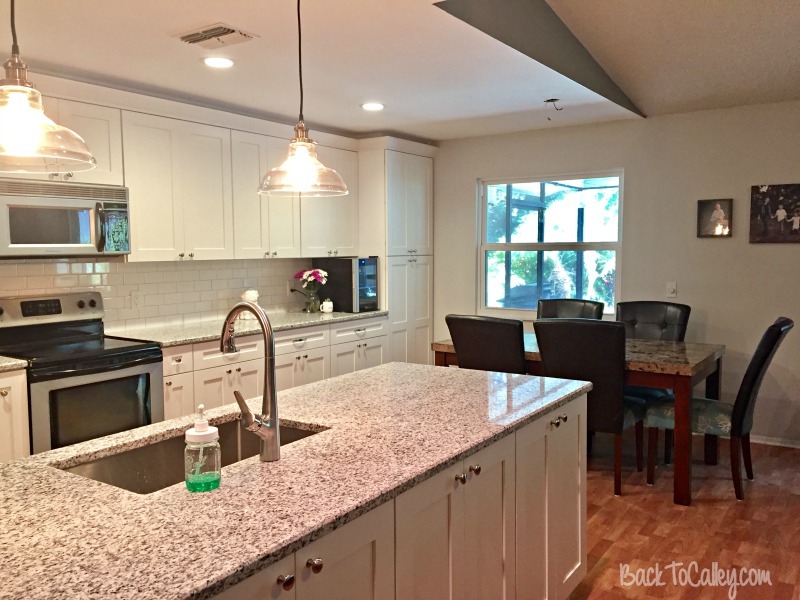 See those cabinets on the back side of the island? One of those cabinets is dedicated to craft supplies. While it may not be big enough for all of my materials, it does hold the essentials that get used every day. I’ll schedule a live video on Facebook later this weekend to go over my supplies and set up. If you’re new to painted rocks and want to know how to get started , hop over to my April tutorial: How to Get Started Painting Rocks. I get most of my supplies at Michael’s, Lowes, and Amazon. Warning: Rock painting is addicting and you’ll want to keep trying new skills. Not sure what to paint? 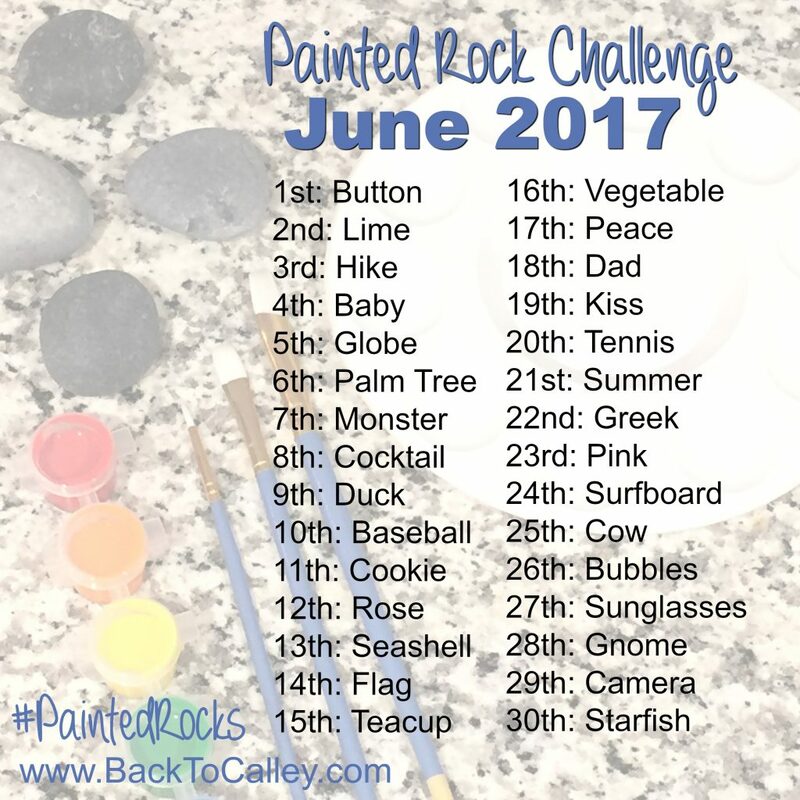 Join the Painted Rock Challenge for June and you can follow the theme for the day. It’s fun to see how different people interpret the theme on their rocks. 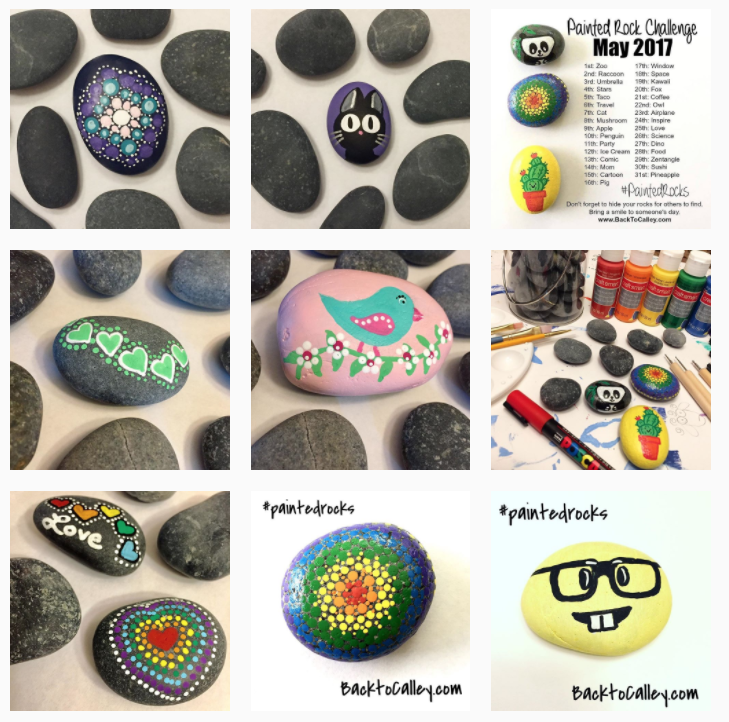 You can see some of my favorites on Instagram under #PaintedRocksByCalley. Shopping for art supplies? Use my Amazon Affiliate link and help support this blog. Thank you ! I am sharing this with my rock group in Iowa. Jasper County Iowa Rocks! On Facebook. 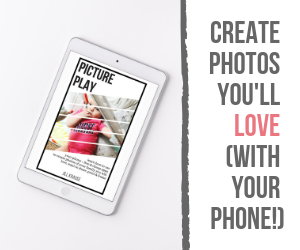 Looking forward to you posting the July Challenge!! We are ready…… Lake Region Rocks (North eastern PA) love you site and now love using your challenge!! Can’t wait to see the July challenge! Thanks for continuing to publish them, from the Facebook group Troy Rocks! located in Troy, IL.